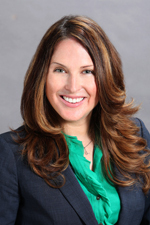 Danielle Noble focuses her practice in labor and employment law with particular emphasis in the defense of workers' compensation claims and disputes. She is involved in all phases of the litigation process and has litigated many cases to resolution. Ms. Noble conducts depositions and cross-examinations, and has appeared before the Worker's Compensation Appeals Board. Prior to joining Hinshaw, Ms. Noble was for two years an associate at a firm in Seal Beach, California. She began her legal career at a Pomona, California firm where she also clerked during law school. In addition, Ms. Noble clerked at a West Covina, California firm during law school and worked as a legal services intern with a large film studio. She also worked as a certified law clerk with the Los Angeles County District Attorney Office in Long Beach, California. Ms. Noble's law school accomplishments include having received an academic scholarship. She was the recipient of CALI Awards for Death Penalty Seminar and Appellate Advocacy. She was also an oral argument finalist in Appellate Advocacy. Ms. Noble was a semi-finalist in the Moot Court Honors Program, and was a member of the Moot Court National Travel Team, where she was a quarter-finalist and winner of the fourth place brief.